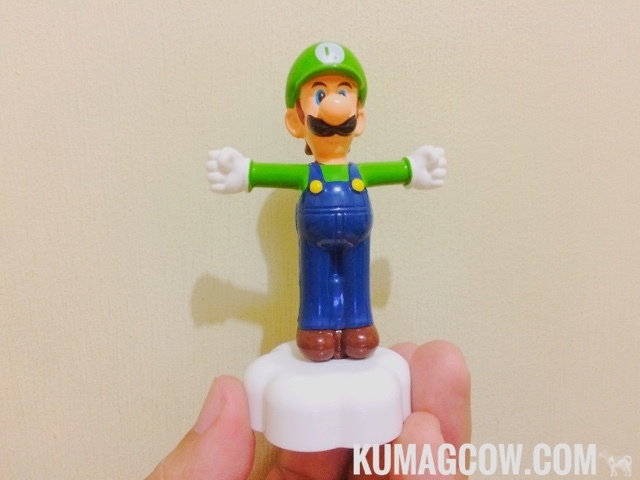 If you haven't seen it yet, McDonalds released new toys for the McDonalds Happy Meal! It's just in time for the Super Mario Run release last December 15 and I've been playing it for a couple of days already. Although not all of these guys are on the game, the history was enough to spark interest with these cool guys who have already been part of my childhood and they're going to be part of this generation. That's something really good. 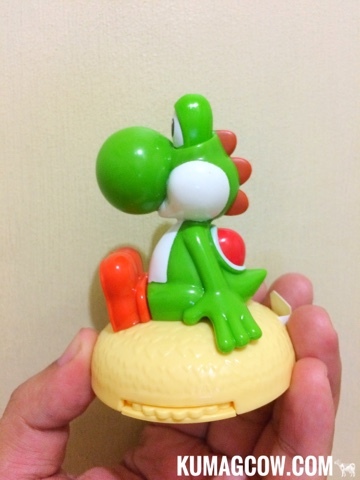 Yoshi here is an Egg Sticker Dispenser. Just roll out the strip using that grooved dial and let him lat eggs of different colors and sizes! Pretty neat! 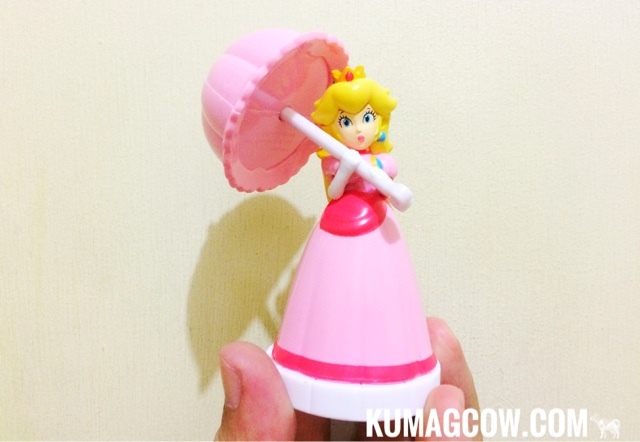 Princess Toadstool brought her pretty dress and umbrella but you can find tons of stickers underneath her skirt, just pop it open like a bottle and you'll see her favorites like flowers and stuff, most little girls chose her, so stores might run out of these very soon! 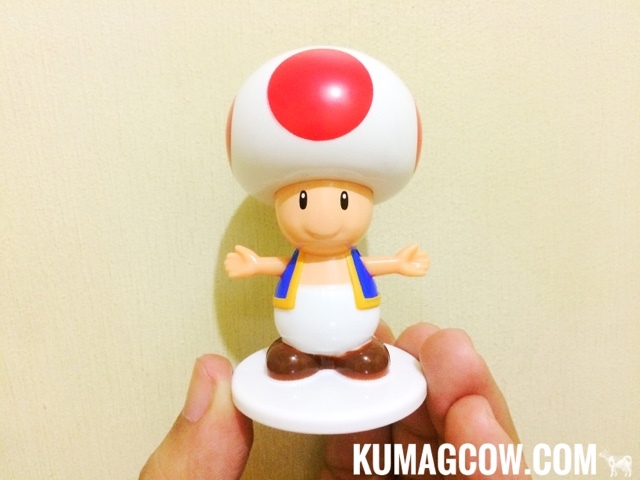 Cute and bubbly, Toad would love to wave at you all day! Jusy click the notch on his back and his arms and hands would go up and down. Like airplanes would stop if he's around, but not if it's Koopa on the plane of course! Ever hated these ghosts? 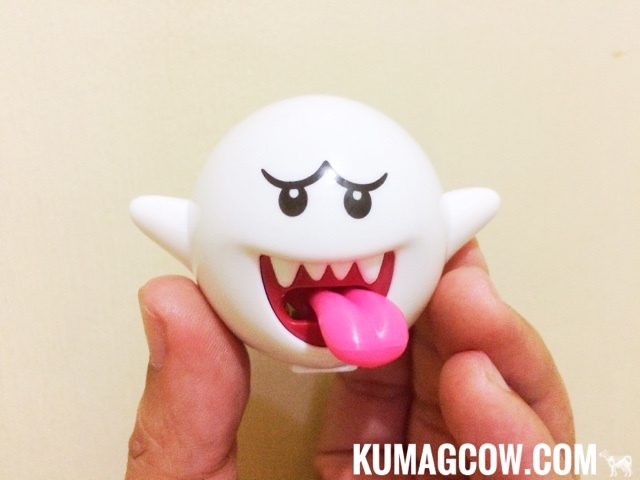 Boo can give you a fright while his tounge goes from side to side. Now think about it, if he's chasing you while you're getting those coins, wouldn't that be scary? I bet! 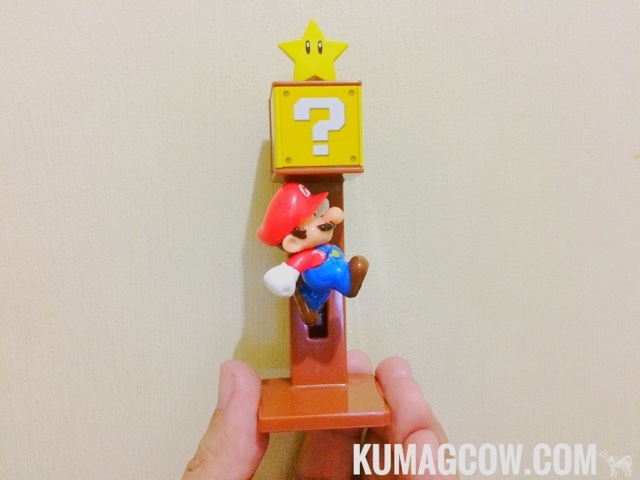 This one is cute, the Small Mario with the Question Mark Box that gets you a star when you hit it. This is a super nice piece! 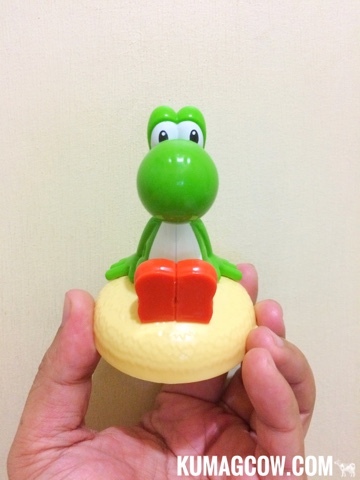 My favorite character of all, spins like there's no tomorrow. He'll surely hit other characters if they're around. I will still play with him if he's in the game! 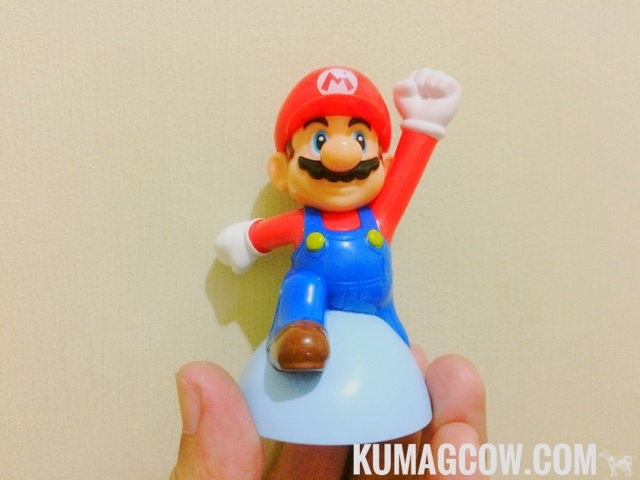 Super Mario complete with sound effects so you can hear him jump and jump and jump whenever he needs to and want too. 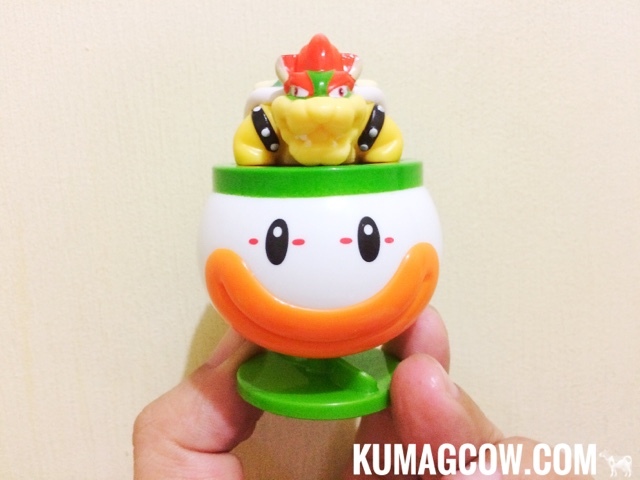 Again, you can get him FREE in every McDonalds Happy Meal so rush to stores before the month ends!